I had no idea that some of the toughest miles I’d run in this 30 week marathon training program would be during this last leg – the taper. Cranking out 20-milers wasn’t easy but psychologically, I just found myself pushing through with blind determination. But now, 5-miles seem like an eternity. I’m procrastinating more than ever and I’m finding the miles seem to take forever to pass. Of course, the past few weeks have been crazy. Really, the past few months. We sold our house and bought a new one at the same time. After moving out of the old house, we stayed in Sacramento at my parent’s house from June to early August. During that time, we had the new house remodeled (master bathroom, kitchen, all doors, moldings, electrical and painting). The place looks simply beautiful right now! The previous kitchen was workable but cut off from the rest of the house by a wall separating the kitchen and dining rooms. 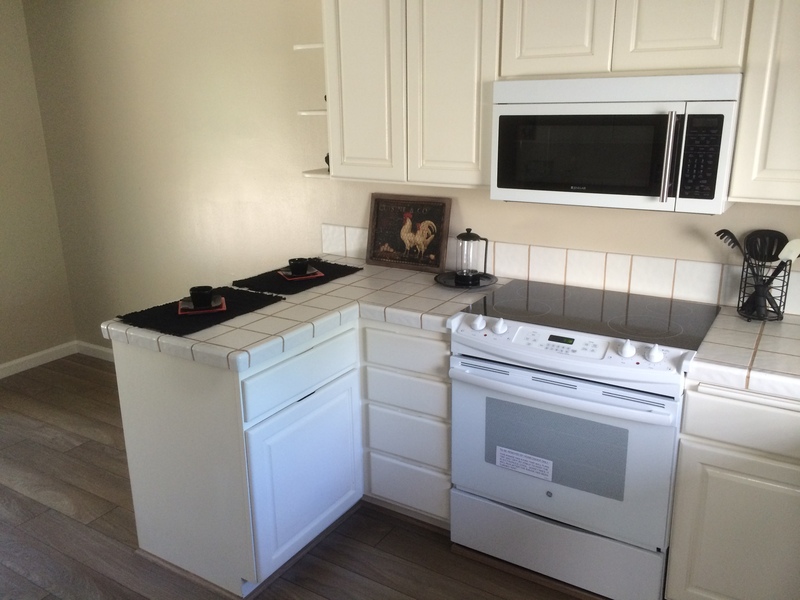 It was also dated with white tile countertops and old cabinets. This wall made the kitchen feel smaller than necessary. Flipping houses has always been my dream. I got a solid taste of it in our previous house, which we owned for a little less than 2 years. We updated almost every surface except for the kitchen and bathrooms. 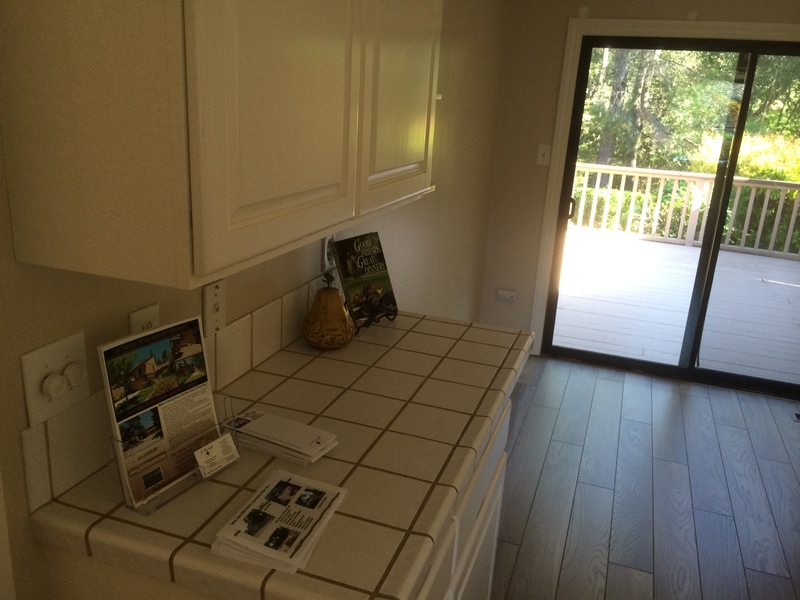 When we sold it, we did very well and I was so excited to have seen my vision and work pay off. 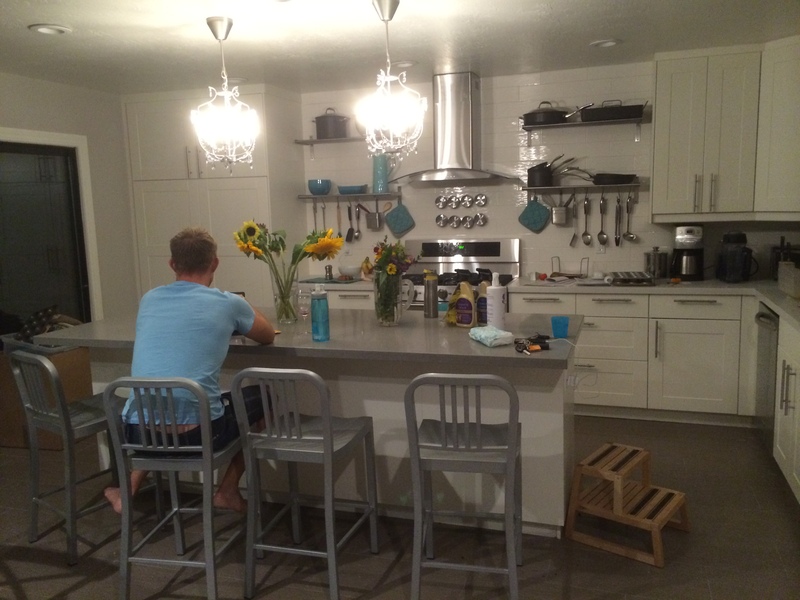 But we never got to do the holy grail of remodels – the kitchen. This isn’t the best photo I’ve ever taken but it shows the kitchen really nicely. We removed the wall separating the rooms, added an island and updated the flooring, lighting, cabinets, appliances and countertops (everything really!). So I’ve been a little busy. I had so much fun running in Sacramento this summer – the American River Parkway trail that I know and love so well. Getting settled into the new house and dealing with the endless to-do and punch lists is exhausting stuff, though. So that explains the current running challenges. I missed almost a week of runs but I didn’t feel too guilty because I was so exhausted from moving that I didn’t even think it made sense to push myself any further. And now that I’m back to it, I’m finding the shorter runs more challenging than ever. 9 more days until the marathon and while I’m feeling daunted, I feel ready. I think 5-milers just don’t feel like enough anymore!